For all our valued customers, please understand that everything works smoother with advance planning. 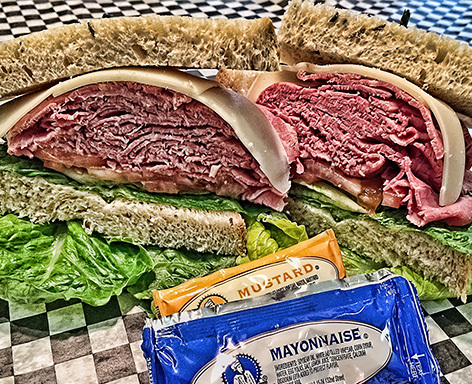 Try to order Party Fare items or Box Lunches a minimum of 2 days in advance — longer if possible. We may be able to complete the order with short notice but, do to many factors, we may not. PLAY IT SAFE — ORDER EARLY. Please understand, our restaurant is our main focus and therefore, we must produce items on this menu around our daily tasks. This is why we appreciate greatly the customer that gives us plenty of lead time – (a RUSH Fee may apply). Quality takes time and preparation. 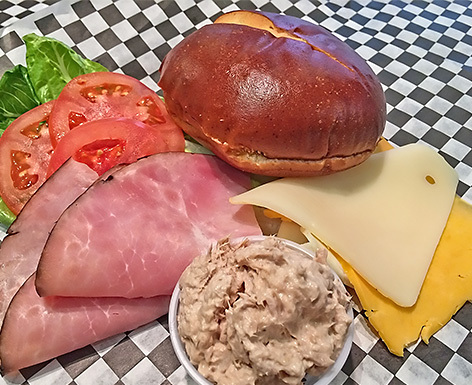 Choose from Smoked Ham, Tuna Salad or All - Cheese. Sandwiches on a round roll with lettuce and tomato. 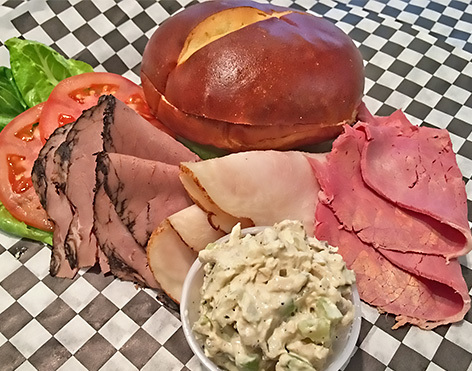 Choose from Turkey Breast, Roast Beef, Corned Beef or Chicken Salad. Sandwiches on a round roll with lettuce and tomato. 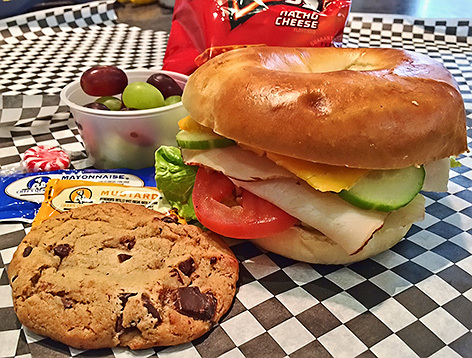 Turkey Breast and cheese piled up on a soft plain bagel with lettuce, tomato and cucumber. Individual servings of Potato, Macaroni or Cole Slaw can be added (must be served within 2 hours of pickup). Please, order well enough in advance, we suggest 48 hours. We cannot assure availability of all items upon any shorter notice. Our Bakery supplier has us on a two day advanced ordering system. 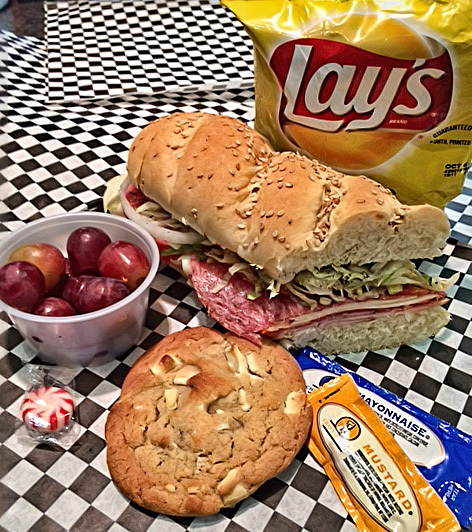 Please avoid placing tray orders during restaurant’s peek time – the lunch hours, we want to give you time. Although we cannot predict the appetites of your guests, rest assured that all our trays will give you an abundance of food. All items are prepared to the highest standards. Consider appetites of your guests, count children as half portion, teenagers and young adults and male adults may consume extra. Other foods being served will usually stretch the consumption of our trays. 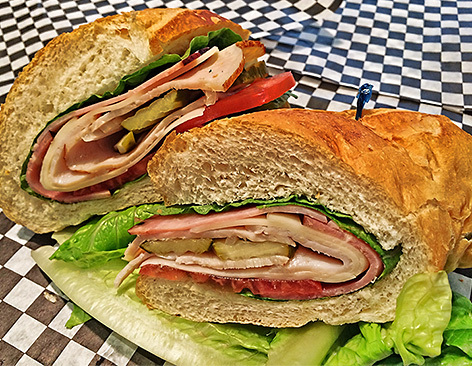 Notify us of any special dietary needs, we can increase amounts of non-meat items or offer other suggestions. All items prepared by senior staff. $3 deposit on metal trays and bowls – Return clean and usable for full refund. 15% Rush Fee may be applied to orders that require last minute shopping and scheduling changes. Please understand, our restaurant is our main focus and therefore, we must produce items on this menu around or before our daily tasks and food preparation. This is why we appreciate greatly the customer that gives us plenty of lead time. High Quality takes time, planning and preparation. We offer a 5% discount for cash or check.